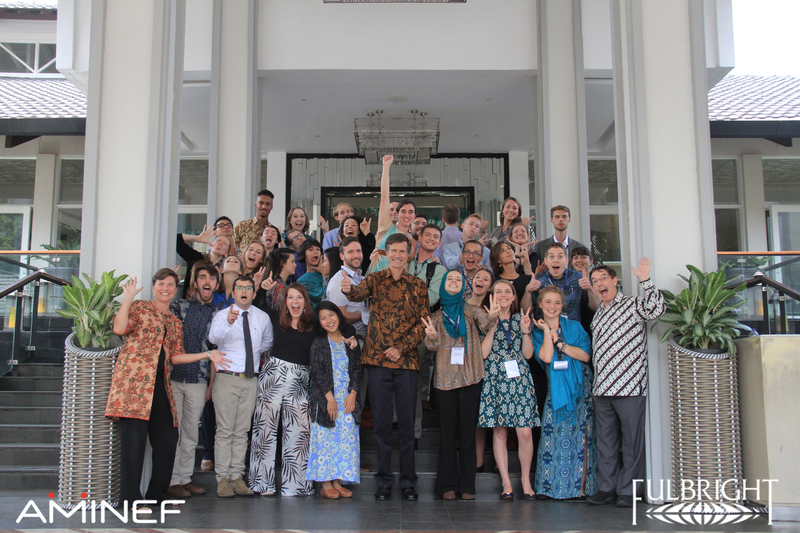 After spending one week at our respective sites, all of us ETAs returned to West Java for two weeks of orientation in Bandung. Whether exciting or frustrating, or somewhere in-between, we were all bursting with stories from the places which would become our homes for the duration of our grants. Last year, orientation occurred right after our arrival in Indonesia, before we had had a chance to visit our sites. I must day I strongly prefer going to site first. Last year, we were unable to ask site-specific questions of the AMINEF staff members, the research coordinator, and the returners, because we still hadn’t the foggiest idea what we were getting ourselves into. And as much as we enjoyed getting to know one another, we were also incredibly impatient to get to our sites, which made two weeks in a luxury hotel in the company of thirty-four varied and fascinating individuals a bit less glorious than it might otherwise have been. This year, after a week of trying to communicate without having yet received Bahasa Indonesia lessons, of trying to figure out just how to use a squat toilet, of realizing that the mosquitos are real in Indonesia… I think everyone was very ready for two weeks of hot showers, a salad bar, and a pool. This year’s cohort also has the advantage of having had a Pre-Departure Orientation in D.C., which means this is not their first time meeting one another. Already, they seem considerably closer than our cohort was: they weren’t coming to spend two weeks with a bunch of random Americans, but rather with people whose company they already enjoyed. This year’s crew with the U.S. Ambassador. Thanks AMINEF for the photo! For those of us returning with the Indonesia ETA program, orientation was also quite different in that we were not merely participants this year, but were rather running sessions of our own. I won’t pretend this didn’t make me a little nervous at times (since when am I any kind of authority on how to be a good ally or how to contend with harassment in a foreign country? I’m still figuring all of that out for myself), but in the end all the returner-led sessions seemed to go rather well. And of course, even as we were leading sessions in order to help the new ETAs, we learned so much from orientation as well, mostly from our fellow ETAs. One of the beauties of the Fulbright program is that it brings together people from a variety of backgrounds, all with a different toolkit with which to explore and understand our experience here. I am thrilled to have the opportunity to continue to learn from and grow with all of the wonderful people who make up the ETA family this year. 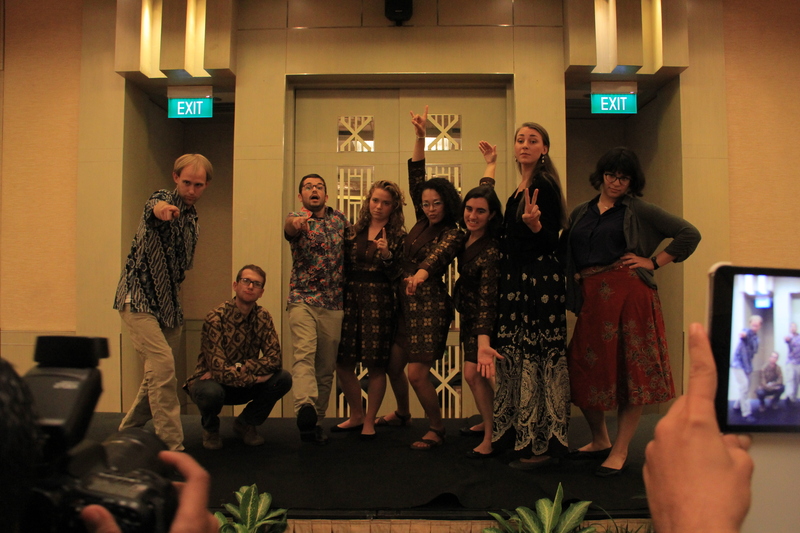 Special shout out to the Sulawesi Crew. Thanks again, AMINEF, for the photo. It also doesn’t hurt that everyone in the cohort is just so darn lovely. Whether we were studying Bahasa, practicing our teaching, or just chilling by the pool, I was always immersed in wonderful conversations with fabulous company. If it sounds like I’m a bit jealous of this year’s cohort in this respect… to be honest, I kind of am. But at the same time, I would not have traded my first cohort for the world, and my only regret is having not been able to get to know them better prior to arriving in Indonesia. This is not to say that the Fulbright Program does not need to work on the diversity of its program, especially in regards to race and SES, as this is an issue which Fulbright acknowledged at our PDO (they didn’t really offer up a concrete plan to combat this, but at least they have noticed, and will hopefully respond to it). However, there is no denying the variety of disciplines and experiences our cohort comes from, nonetheless. This entry was posted in Indonesia ETA Grant 2015-16 and tagged Friends, Indonesia, orientation. Bookmark the permalink.